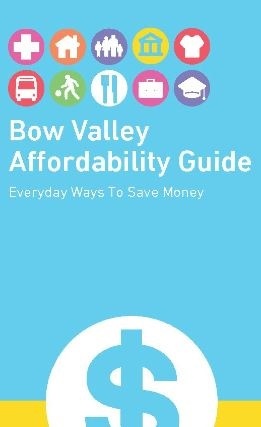 This comprehensive guide provides local resources and opportunities for saving money in the Bow Valley. Download the guide, or pick up a copy from Town Hall, the Banff Public Library, YWCA Community Resource Centre, Health Unit and more. The 2014 FCSS Social Assessment told us that there are a lot of ways to live affordably in Banff and the Bow Valley but that people often leave town before they find out about them. So we have put that information together in one handy guide. This 4th edition of the guide provides information on services from childcare to transportation, food to housing, activities and health & wellness and everything in between: all available at no cost or low cost for residents in the Bow Valley. Whether you are brand new to the valley or have lived here for decades there is something for you. More information on affordability and assistance programs available in the Town of Banff. We also produce a flyer each summer and winter of "Free & Low Cost Things to Do"